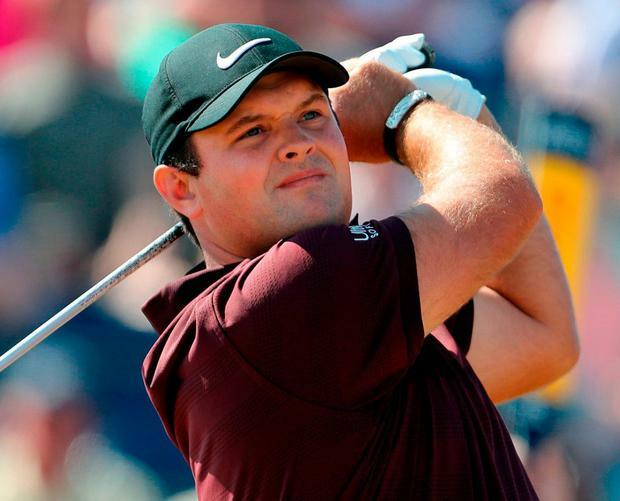 Patrick Reed. Photo: Richard Sellers/PA Wire. Masters champion Patrick Reed believes he can still win the Hong Kong Open after producing an incredible late birdie blitz to make the cut with a shot to spare. Six-over for the tournament with just eight holes to play and struggling with a rib injury, the world number 15 birdied six of his last seven holes to follow his opening 75 with a 65 and make the weekend on level-par. England's Aaron Rai shot a nine-under 61 to lead by four strokes from South Korea's Hyowon Park (62) on 14-under, with compatriot Matthew Fitzpatrick two shots further back after also shooting a 62. Meanwhile, Leona Maguire (23) is seven shots behind defending champion Azahara Muñoz in the weather-delayed Andalucia Open in Malaga. The Slieve Russell star played 31 holes yesterday but after completing a level par 71 in the morning, she bogeyed the last for a one-over 72 in gathering gloom to finish the day tied for 23rd on one-over. In Turkey, Tulfarris Resort's Simon Thornton won £1,050 but missed out on vital tour starts when he closed with a level-par 71 to finish eighth on four-under in the PGA play-offs at Antalya Golf Club. There was an English 1-2-3 as David Dixon blasted an eight-under 63 to win by three shots from Matthew Cort (66) on 13-under with Robert Coles (63) third on eight-under. Dixon and Cort earned spots in the BMW PGA Championship and the British Masters as well as spots on the GB&I PGA Cup team alongside Coles. Michael McGeady (66) was 10th on three-under with Waterville's David Higgins (72) 16th on one-over.